Kim Bum (Hangul: 김범; born Kim Sang Beom, July 7, 1989) is a South Korean actor and singer, and model. He appeared in “East of Eden” as the 15 year old Lee Dong Chul, and as So Yi Jeong in “Boys Over Flowers”. Kim Bum is the popular star of numerous Korean television series and dramas, as well as several feature-length films. His best known role is as So Yi Jung in Boys Over Flowers. Winner of the Netizen Popularity Award at the 2008 Korean Drama Festival, Kim Bum was born on July 7, 1989, and was educated at Jungang University. Having set his sights on an acting career while still a young school boy, Kim regularly attended auditions and took acting classes. However, it was not until he joined the “Survival Star Audition” that his hard work finally paid off. He placed 8th in a field of hundreds, but because he was only 17, in a program aimed at actors in their 20’s, he could not proceed in the competition. “Survival Star Audition” opened many opportunities for Kim, and he began receiving multiple television series roles and his popularity soared. Although continually the object of much internet and magazine gossip, Kim Bum continues to ascend as a South Korean star, while remaining firmly planted in his roots. Kim Bum plays So Yi Jung (Sojiroh Nishikado), one of the Korean F4 members in “Boys Over Flowers”, the Korean remake of Japanese manga “Hana Yori Dango”. Kim Bum showed his acting chops playing the young Lee Dong Chul in “East of Eden” and is one of South Korea’s rising male stars to be watched. 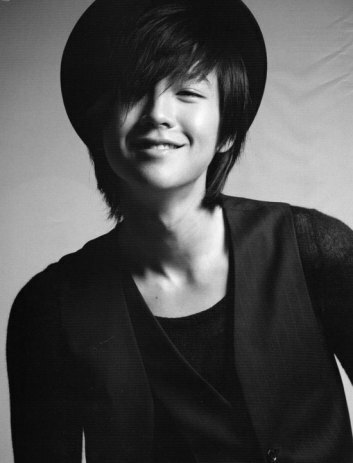 Jang Geun-Suk is a South Korean actor, singer and model. He is best known for playing the role of band leader Hwang Tae Kyung in the hit 2009 dramaYou’re Beautiful opposite Park Shin Hye. Jang Geun-Suk was born on August 4, 1987 in Danyang County, Chungcheongbuk Province, South Korea. He is an only child. Geun-Suk started working as a child model at the age of six after he was discovered by a talent agent. At that time, Geun-Suk’s parents were selling their house and the agent, who was a prospective buyer, saw Geun-Suk. Seeing his potential, the agent advised Geun-Suk’s parents to allow him to try a career in modeling. In 2006, Geun-Suk made the jump to the big screen in the Japanese horror film One Missed Call Final where he played the role of a deaf boy. Using his past experience with the Japanese language, Geun-Suk was able to communicate with his Japanese co-stars with ease. He also learned sign language in preparation for his role. Geun-Suk was the top choice for the role of Goo Jun Pyo during the initial casting of Boys Over Flowers but he turned it down for Beethoven Virus. Though he sings for some of his dramas, he has not released any music of his own: except for a few songs done for advertisements. “Black Engine” for Mens cosmetics and skin care, and “Touch Holic” and “Just Drag” for a new touchscreen devices. Geun-Suk recently reunited with his You’re Beautiful co-star Shin Hye to film an advertisement for Korea’s Garden 5 Shopping Mall. He will next be seen in the Korean movie adaptation of Japanese drama Kimi wa Petto. Jun Matsumoto (松本 潤 Matsumoto Jun?) 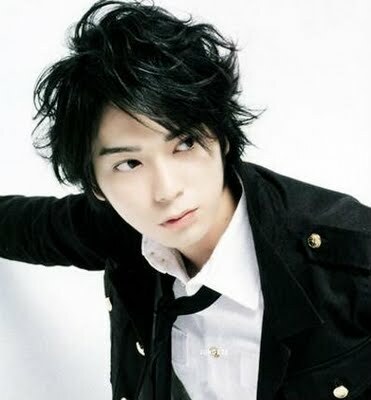 (born August 30, 1983), often called by the portmanteau nickname MatsuJun (松潤? ), is a Japanese idol,singer, actor and radio host. He is a member of Japanese boy band Arashi and is best known to Japanese television drama audiences for his portrayal asTsukasa Dōmyōji in the Hana Yori Dango series, in which he won GQ Japan’s Man Of The Year Award under the singer/actor category for his work in the drama. Matsumoto began his career in the entertainment industry when he joined the Japanese talent agency Johnny & Associates in 1996 at the age of 12. Prior to his debut as a singer with Arashi in 1999, Matsumoto started an acting career when he was cast as Teddy Duchamp for the stage play Stand by Me, which was based on the film of the same name. Since then, he has went on to appear in numerous dramas and movies, receiving a number of awards and nominations for his roles. Taylor Daniel Lautner (pronounced /ˈlaʊtnər/; born February 11, 1992) is an American actor. He is perhaps best known for his portrayal of Jacob Blackin the Twilight film series, though he is also notable for roles in family films such as The Adventures of Sharkboy and Lavagirl in 3-D and Cheaper by the Dozen 2. Lautner was born in Grand Rapids, Michigan, the son of Deborah, who works for a software development company, and Daniel Lautner, a commercial airline pilot. Lautner was raised as a Roman Catholic in Hudsonville, Michigan, and attended Jamestown Elementary School until the age of eleven, when the family moved to the Santa Clarita area. Lautner is of mostly Dutch, French, and German descent, and claims some “distant” Native American (specifically Ottawa and Potawatomi) ancestry through his mother. He has a younger sister, Makena. Lautner has studied karate since the age of six. He appeared in an ISKA karate event televised on ESPN in 2003 that was later lampooned on the sports-comedy show Cheap Seatsthat first aired in 2006. Joseph Adam “Joe” Jonas (born August 15, 1989) is an American singer, musician, actor and dancer. He shares the lead singer role with his younger brother Nick of the Jonas Brothers, a pop-rock band made up of him and his two brothers, Nick and Kevin. He currently stars as Joseph Lucas in the Disney Channel original series Jonas. On August 17, 2007, Joe, along with his brothers, guest starred in an episode of Hannah Montana. The episode debuted alongside High School Musical 2 and a sneak peek of the new Disney Channel show Phineas and Ferb. The episode broke basic cable records with a record 10.7 million viewers and became basic cable’s most watched series telecast ever. Joe and his brothers filmed a Disney Channel Original Movie called Camp Rock where they play a band called “Connect Three.” Joe plays the lead male role and lead singer “Shane Gray”; Nick plays the role of “Nate,” a guitarist and drummer; and Kevin plays the role of “Jason,” also a guitarist. The film’s soundtrack was released on June 17, 2008. The movie premiered on June 20, 2008 in the USA on Disney Channel, and Canada on Family. 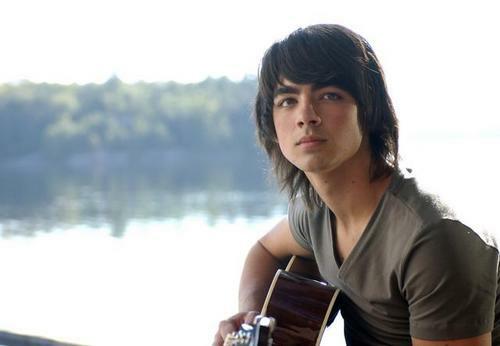 He reprised his role of Shane in the sequel, Camp Rock 2: The Final Jam. The film premiered on September 3, 2010. The soundtrack will be released on September 7, 2010. The reality short series, Jonas Brothers: Living the Dream, premiered on Disney Channel on May 16, 2008. The first season, which ran until September 5, 2008, documented the brothers’ lives on theLook Me In The Eyes Tour. The name was inspired by the band’s hit song “When You Look Me in the Eyes”. The series was renewed for a second season that premiered on March 21, 2010. The second season follows the band on the European leg of their World Tour 2009. Joe, along with his three brothers Kevin, Nick and Frankie also star in their own Disney Channel Original Series, called JONAS. In the series the Jonas Brothers portray a pop band attempting to live a normal life. The first season premiered on May 2, 2009. Filming for the second season began in February 2010. Jonas guest judged on an episode of American Idol during the auditions in Dallas. In February 2010, Jonas made a cameo appearance in Vampire Weekend’s music video for “Giving Up the Gun” along with Jake Gyllenhaal, Lil Jon, and RZA. Joe Jonas will guest star on TV Land’s Hot In Cleveland show which stars Betty White. According to EW, Joe will appear in an August episode as ‘Will,’ Valerie Bertinelli’s son in an upcoming episode, reports Cambio. In the episode, Will Moretti comes to Cleveland to visit his mother Melanie. The episode airs August 11 and was taped in front of a live studio audience July 17.